The coupons from Pier One lately have been FABULOUS! Check out this NEW coupon on the Pier One Facebook Page. 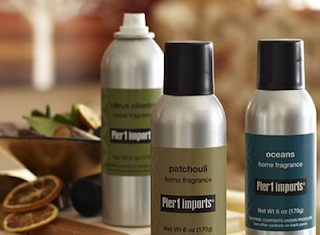 Right now, with a $25 Pier One Purchase you can pick up a FREE Room Spray. My FAVORITE of all times is: Ginger Peach.